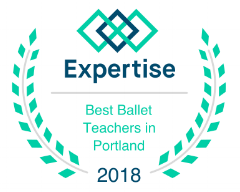 Westside Dance & Gymnastics Academy is home to a Performing Arts Preschool, an award-winning dance program with recreational classes, Hip Hop Company, Elite Acrobatics, Performing Company and our Pre-professional Dance Company: NW Fusion. We have an extensive gymnastics program with recreational classes, an Xcel Bronze, Silver, Gold & Platinum team, a Rhythmic Gymnastics Team and Junior Olympic Level 3-10 championship Boys and Girls Artistic Gymnastics competitive teams. Westside offers recreational classes in Ballet, Tap, Jazz, Hip Hop, Musical Theater and Acrobatics. Our accelerated Dance Troupe trains in all areas and is a great path to our performance groups... Including our Hip Hop Company, Ballet Company, Elite Acrobatics, Performing Company and Northwest Fusion. Company dancers perform and compete locally and nationally. Many dancers participate in our annual Nutcracker/Holiday showcase and spring recital. Recreational gymnastics classes are available for kids of all ages and abilities. Westside has an Xcel Bronze, Silver, Gold & Platinum competitive recreational team. The accelerated program includes pre-team classes and junior olympic levels 3-10 championship girls and boys artistic gymnastics teams and a level 4-10 Rhythmic Gymnastics team. All gymnastics students and teams participate in our annual Mini Olympics showcase. The Performing Arts Preschool focuses on pre-reading and writing skills, literature, math and science and a full performing arts curriculum including art, drama, music, tap, jazz, ballet, acrobatics and gymnastics for children ages 3–5. We explore different cultures through the arts and want our students to respect and appreciate social and cultural diversity. Westside offers half or full day camps during winter or spring break, school closures and throughout the summer with options that include preschool, dance or gymnastics. We host field trips and offer birthday party packages. Join us for supervised open gym time during parents night out, indoor play park or lunch bunch.